Terzah is an international environmental science and policy lecturer at Harvard University, a corporate sustainability practitioner and a published author. She has worked as a project leader and change agent for over 20 years with global, national and regional development and policy organizations in The Americas, the Arctic and Europe. She led sustainability programs for TransCanada and Royal Dutch Shell for over 10 years. Her work focuses on delivering economic benefits by advising corporations and communities on how to progress business objectives using a mutual gains approach. 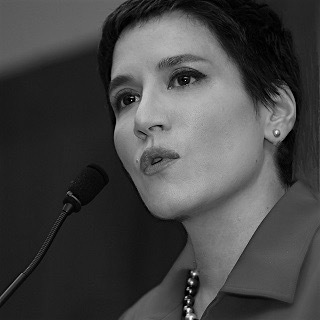 As part of her portfolio in her international roles, Terza resolved complex project challenges ranging from negotiating agreements with communities, to working with multi-national organizations including the IFC (World Bank), WWF, First Peoples Worldwide, Living Earth, the Nature Conservancy and others to progress development projects successfully. Terzah holds a Bachelorʼs in Journalism and Public Communications and a Masterʼs in Sustainability and Environmental Management from Harvard University.